When Basil the Great had returned from receiving a wonderful education in Athens, it was Macrina who grounded him in faith and in opposition to the ivory towers of academia. Clearly, learning was highly valued in their family and, yet, Macrina grasped that education is not salvific and Christianity is not a religion of redemption through knowledge or intelligence. And, so, Macrina became a spiritual center for the great Cappadocian fathers: Basil the Great, Gregory of Nyssa, and Gregory of Nazianzus. 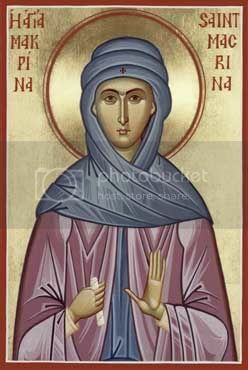 Though they would fight and debate and champion orthodoxy, Macrina reminded them of the spiritual and essential nature of the faith. Though the Cappadocians may be well-known there is no doubt that they owed more than we can articulate to Macrina.